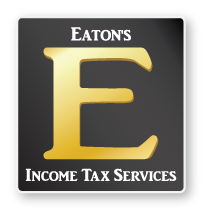 In 1992, Scott Eaton teamed up with his father, Bill Eaton, to provide tax preparation services to the San Clemente community. Their office was a small storefront on Avenida Del Mar, next to Dewey’s TV, and across from Tina & Vince’s Deli. The Coronet, on the corner of Ola Vista, and Russell’s stationery store were the biggest businesses around. The tax business quickly evolved from the pencil and paper era, with stacks of forms, to a computer service bureau, with piles of data-entry sheets trucked back and forth to the processing center. Our clients increased from our original ninety-or-so, to several hundred as the system became more efficient. We adopted a “while you watch” style of tax preparation, allowing full participation of our clients in the process, producing better understood and more accurate returns as a result of a team effort instead of a solo performance by an expert. We have continued to ride the rising tide of technology, incorporating state-of-the-art software, computers with multiple screens, Wi-Fi, cloud-based sharing, internet phones, and a myriad of high-tech devices enabling us to better serve our clients. With Bill’s retirement in 2011, Scott brought in new talent to Eaton’s Income Tax Services, expanded the range of services, and pushed the limits of the little office downtown. Our tax clients increased to over 1,500 each year, with payroll, investment, and bookkeeping clients added to a growing base of people and small businesses being served. Today we are very happy to have a new office in San Clemente, with more room to accommodate our clients and provide a broad range of services to our community.